"My cousin and I went on this tour and were so happy with the whole tour itinerary..."
"Really enjoyed it a lot. Sometimes felt like guide was distracted when i spoke with..."
"that's great tour I love it!" 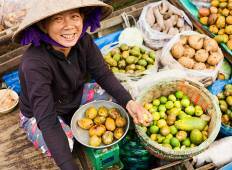 "A fantastic experience really got shown the real Vietnam. Travelled with 13 other..."
"I really enjoyed my tour with Intro travel. 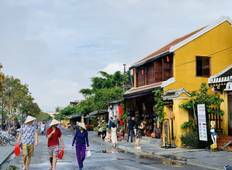 Some highlights were Halong Bay, Ninh..."
"Fantastic trip with a fantastic guide. Thank you, Mel, for leading us on an adventure..."
"So glad I chose the 16 day Discovery Tour of Vietnam. Got to see all I expected and..."
"The trip and Ratha was just absolute Amazing. The Best ceo/guide i have ever had."